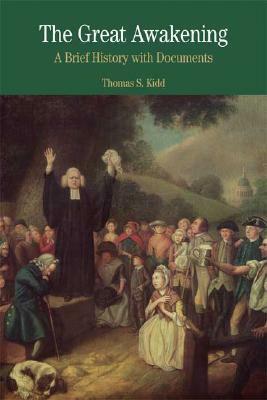 A detailed examination of the First Great Awakening, this volume presents a valuable study of the spiritual movement that profoundly shaped colonial American cultural and religious life. Thomas Kidd's comprehensive introduction relies on recent scholarship to describe three contemporary views of the revivals: those of radicals in favor of them, moderates supporting them, and antirevivalists attacking them. The views and experiences of these participants and critics emerge through nearly 40 documents organized into topical sections. By expanding coverage of the radicals and the ordinary people, including women, African Americans, and Native Americans, who joined the revival movement, Kidd gives students an opportunity to hear a broader collection of voices from colonial American society. The volume also includes illustrations, headnotes to the documents, a chronology of the Great Awakening, a selected bibliography, questions to consider, and an index. THOMAS S. KIDD (Ph.D., University of Notre Dame) is associate professor of history at Baylor University. He has focused his research on American religion and has published several articles on the subject, especially on the colonial period. He has authored the books The Protestant Interest: New England after Puritanism and Awakenings: The First Generation of American Evangelical Christianity. Professor Kidd has led a Baylor conference on the global challenges facing Christianity, served on the university's advisory presidential search committee, and works as a mentor to the university's Crane Scholars Program.